US Mexico climate deal includes grid modernization, global and regional climate modelling. 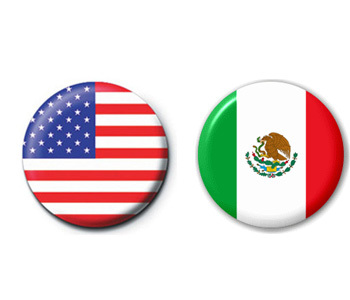 The United States and Mexico agreed to a joint task force on climate policy co-operation last week after Mexico announced its emissions will peak by 2026. Mexico anticipates the county’s emissions will then fall 22 per cent below “business as usual” levels by the year 2030. Mexico is the first developing nation to submit its nationally determined contribution to organizers of the United Nations climate conference in Paris at the end of this year. The United States is expected to announce its post-2020 emissions targets Monday or Tuesday, but had already broadly laid out its goals in announcing a climate deal with China last November. “The two countries will seize every opportunity to harmonize their efforts and policies toward their common climate goals,” said the statement, including cooperation on everything from grid modernization and appliance standards to global and regional climate modelling. The Canadian government, which has repeatedly stressed that Canada’s climate policies must be co-ordinated with our continental trading partners, is not party to the new U.S.-Mexico task force.